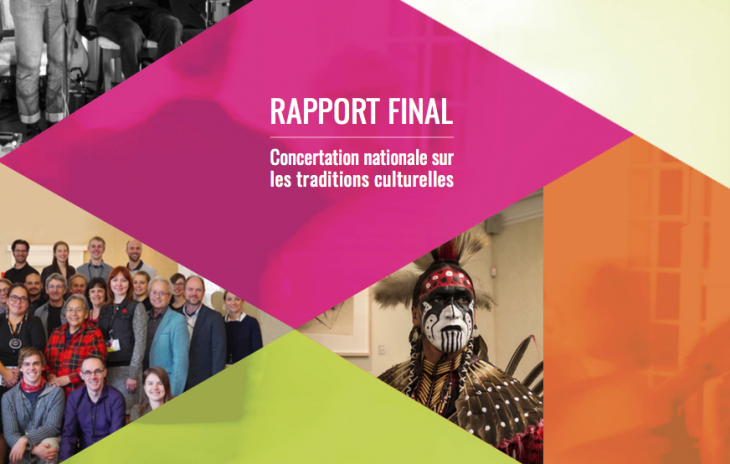 Members of the #Heritage Alive editorial board is: Jean Roche, Rajiv Trivedi, Emily Drani, Ananya Bhattacharya, Albert vd Zeijden, Salih Taner Serin, Valentina Zingari, Dr. V. Jayaran, Eva Romankova, Harriet Deacon, Joseph Ogieriakhi, Fanny Houët, Ki Leonce, Gabriele Desiderio, Severin Cachat, Seraphin Bute, Robert BD Otto, Okello Quinto, Jorge Gustavo Caicedo and Eivind Falk (Editor in Chief). 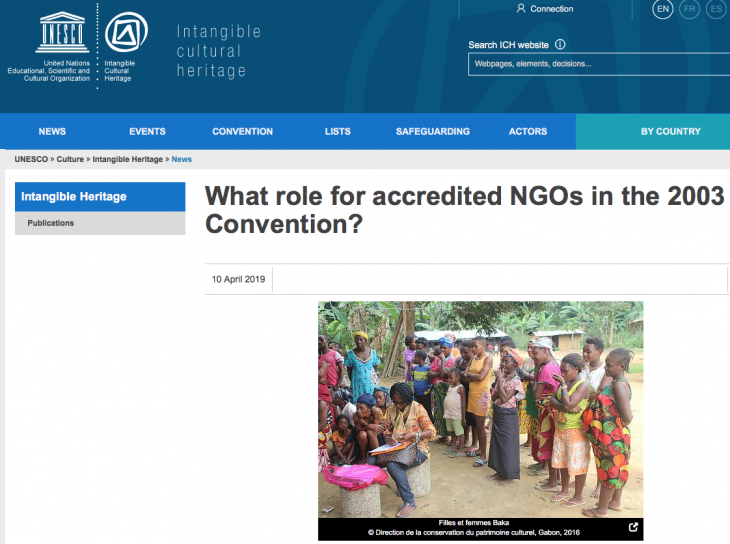 #HeritageAlive has been publishing articles on a variety of themes concerning intangible cultural heritage (ICH) safeguarding since 2012. After remaining relatively steady in the past, public interest in the online journal has increased after a call for papers in relation to traditional medicine was issued. As a result the editorial board decided to publish a book dedicated to traditional medicine. Luckily ICHCAP, as a consistent producer and distributor of high-quality publications, was willing to be our partner publishing Traditional Medicine, sharing experiences from the field. At the 12th Session of the Intergovernmental Committee for the Safeguarding of the Intangible Cultural Heritage (12.COM) in the International Convention Center Jeju, the book entitled Traditional Medicine: exchange of experiences from the field was launched as a result of this fruitful cooperation between ICHCAP and #HeritageAlive. 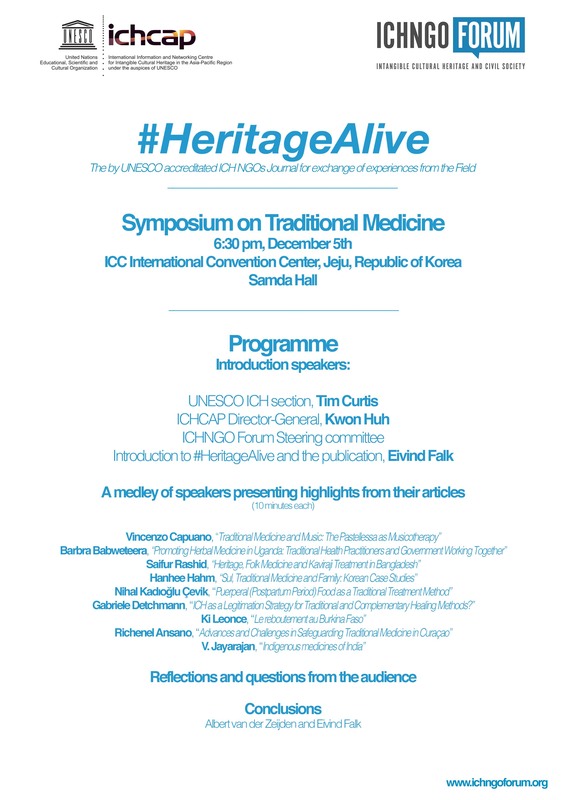 Tuesday 5th of December 2017 6.30 pm – 9.00 pm – With gratitude for the generous support of ICHCAP – International Information and Networking Centre for Intangible Cultural Heritage in the Asia-Pacific Region under the auspices of UNESCO – based in Korea. Find the program here.